The browser comes with the Ask toolbar by default and the interface seems very cluttered compared to any modern browser. The skins of the program try to make it a bit more stylish but they usually fail to do so, because the whole aspect and functionality of SlimBrowser is a reminiscence of the old Internet Explorer. Version 8.00.005 is a freeware program which does not have restrictions and it's free so it doesn't cost anything. 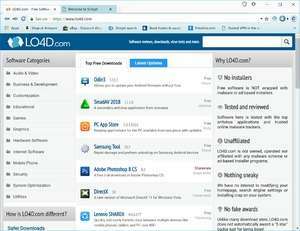 For security reasons, you should also check out the Slim Browser download at LO4D.com which includes virus and malware tests. Additional screenshots of this application download may be available, too. SlimBrowser has a presence on social networks.